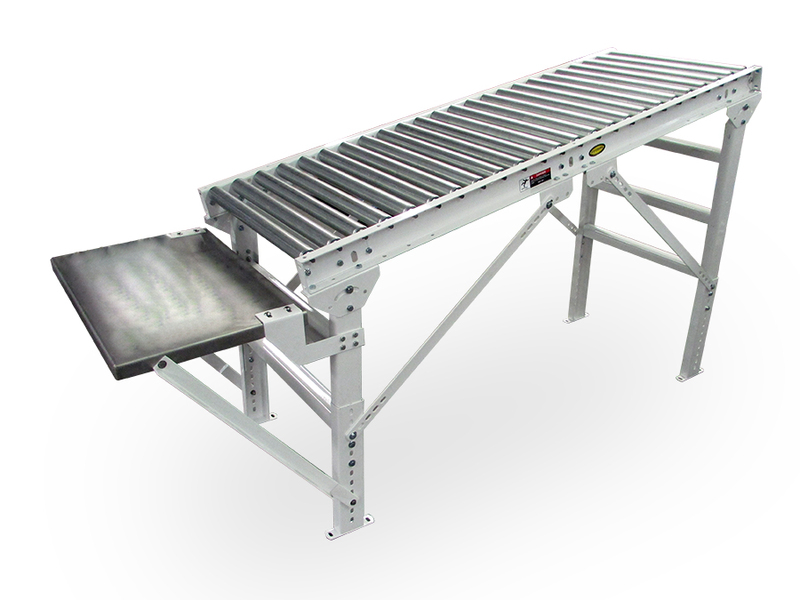 The Stacking Conveyor is designed to accept bags from a higher elevation conveyor and transfer them lengthwise toward the stacking area. 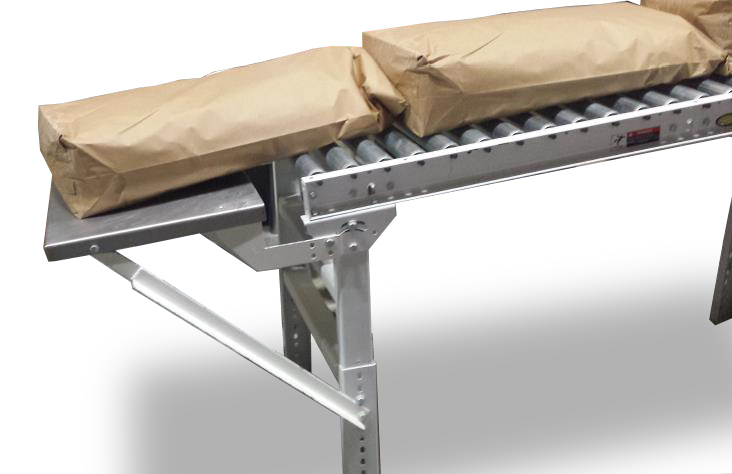 Includes bag stop plate for an operator to remove the bag and stack on the pallet. Declines to about 42” high, waist high for ergonomic stacking purposes.